From a young age, the swimming pool at my local high school became my second home. No matter how my life was going, the water was there to welcome me every day with no judgments or questions. I spent all of my time swimming, and in return swimming gave me a strong support system of friends and taught me to not give up, even when things got tough. Swimming was something I loved, and a sport I regretted leaving after I graduated high school. So when Stony Brook University announced that they were reinstating the women’s swimming and diving team after a five-year hiatus, I was ecstatic, especially after hearing the coach would be former Olympian Janelle Atkinson. I became the first swimmer on the newly reinstated team, and soon 12 other girls who shared my excitement joined. 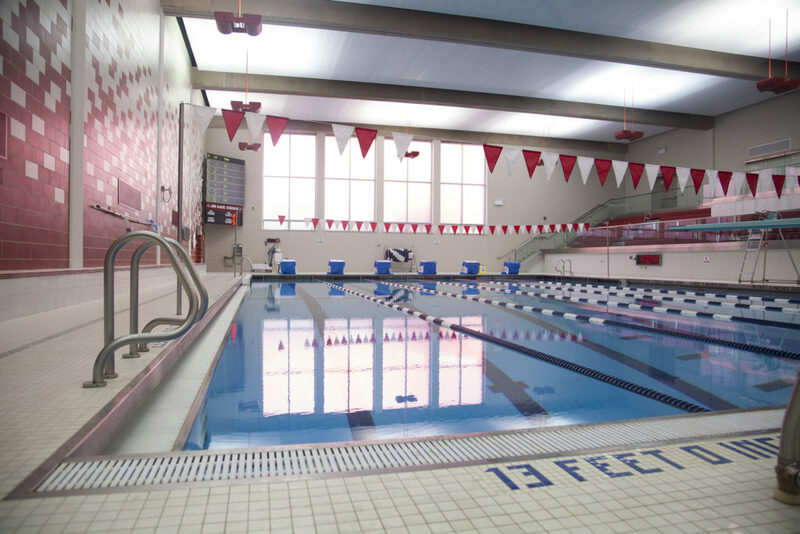 The opportunity to be the captain of a Division 1 swim team with a decorated coach in a beautiful new $13.5 million pool seemed too good to be true. Out of the 13 girls who joined the swim team, only six remain, one of whom is on hiatus. What started out as a dream quickly turned into a nightmare as Coach Janelle broke our trust and our spirits. We were told that we were weak, that we were not enough and we were not trying. We were cursed at and screamed at during every practice for months. As our physical and mental health declined, we were told to get over it. If we had to miss practice for injuries or illnesses, our spots on the team were threatened. Some of us who were strong enough to stay fought for change. Some chose to leave and some were bullied into quitting. We and our families filed complaints, made phone calls and had many meetings to try to end the abuse. For months, our grievances were not taken seriously. After quick Google searches and short conversations with Atkinson’s past swimmers, it was clear that the way she treated us was not unusual for her. It became clear that we — college students ranging from the ages of 18 to 22 — had done more research on our coach than the Athletics department had before hiring her. On Friday morning, the remaining members of the team were informed that Coach Janelle and Assistant Coach Jordan Bowen were relieved of their duties. The rest of us — those who had quit and were told that we were unable to handle the pressure of being a Division I athlete — were not informed, nor did we receive an apology from Athletics. The university has still not confirmed that the coaches were fired, and once they do, I doubt they will give a reason. In a few months, I am sure she will find another coaching job. This is not the first time that Janelle Atkinson has abused her swimmers, and if Stony Brook University doesn’t confirm the abuse, it will not be her last. Her past jobs at the Fairfield and UConn athletic departments did not give reason as to why her contracts had not been renewed. Like Stony Brook’s athletics department, these departments either chose not to research Atkinson or did not care. Instead, they chose to hire her based on her own personal swimming success. By not disclosing why Atkinson was no longer a part of their program, they allowed her to move onto other programs and emotionally abuse other swimmers. Their swimmers, in turn, did not trust their colleges to support their claims so they did not speak out. These colleges were able to get away without any bad press, but now Stony Brook does not that have option because we, past and present Stony Brook swimmers, decided to fight back publicly. One of my former teammates reached out to a popular swim website, SwimSwam.com, with her experience with Atkinson. Even though Stony Brook has yet to confirm her dismissal or her maltreatment of the swim team, Atkinson’s former swimmers and their families have confirmed her abusive nature in the comments. For the first time, her victims are being heard. Their universities failed them, but maybe Stony Brook can change that narrative. As athletes, we represent the university. We are taught to fight until the end, even when it gets hard. When we make mistakes, we are told to own up to them and work to make ourselves better. So Stony Brook Athletics, will you honor the traits that you pride us in having? Will you not only protect us, but protect other athletes from the possible abuse of Janelle Atkinson? Will you own up to your mistake and learn from it to try to be better? The university and Athletics have a chance to change the story and protect past, present and future athletes. Let’s see if they choose to take it.